Welcome to the website of AquaEcology. On the following pages, you will find extensive in­for­mation about this insti­tute for aqua­tic ecology and the offered ser­vices. The working field of AquaEcology comprises all activities being related to natural waters such as ponds, lakes, becks, rivers, coasts, and open seas. 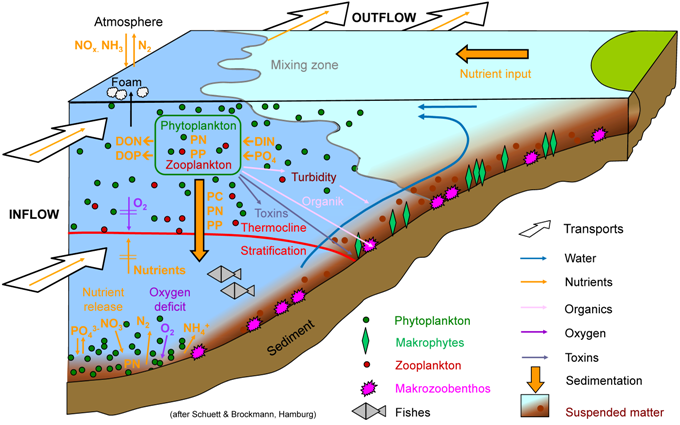 Within these ecosystems, you will find complex processes and interactions that have an impact on the environment and the climate. These aquatic systems are investigated by scienctific institutions and companies all around the world. With many of these, AquaEcology has close co-operations.